Anping Top Wire Mesh Fence Factory was built in 1992, located in the "hometown of wire mesh"of Anping, a well-known International Wire Mesh Convention and Exhibition Center. 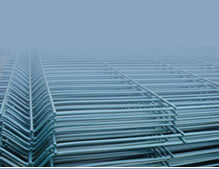 The main wire mesh fence production company of the famous "SUN" series license barrier welding, metal column. Product categories include 2, more than 20 varieties of products are mainly used for the stadium fence, garden fence, barrier area, highway guard rails, railway barrier , Fence construction, petroleum, medicine, aviation, aerospace, railway highway, landscape protection, water, and other fields.